Launch iREB and select your iDevice name from the displayed options. Prepare to press the Home+Power button. Hold down the Home+Power button exactly for 10 seconds. After 10 seconds, release the Power button but keep holding Home button until iREB detects your iDevice in DFU mode. As soon as iREB will detect your iPhone in DFU mode, it will patch the iBoot using Limera1n exploit. Once done, you will see the confirmation message stating that "Your device is now in Pwned DFU state". Didn’t work for me i still have 3194 error problem :( ! If this doesnt work try replacing the battery. i have tried all of the instructions above and still im getting the message 3194 =-( been trying to restore now for 2 days and have tried everything i could find online. i was using iOS 4.3.3 and iTunes told me to update to iOS5.0.1 and i did so but it said “unknown error has occured. (21)” so i tried disabling my firewall and reinstalling my itunes and using custom ipsw and now i hav tried using iREB but still i am getting 3194/1601/1602. Argh! Okay, so I have Apple cleared from my hosts, I’m using TU’s TSS server, iReb, and my phone is in DFU mode, still getting hung up at error 2005, which I have read often is a USB issue. Unplugged and plugged it in again, different USB jack, everything, to no avail. Using sn0wbreeze custom iOS 5 IPSW, btw. Why are you running TU at the background ? You must realize that you can no longer restore to iOS 5.x versions even with any kind of SHSH cached for your device. They don’t work the same anymore unlike the iOS 4.x restores. Quit TU, point your hosts file back to Apple & restore to iOS 5.0.1 if that’s what you want. iOS 5.0 is way out of question to restore to at the moment. You just simply can’t. i got a new iphone 3gs, somehow got it into restore mode even before i turned it on so i dont even know what ios is installed. i dont want to restore it through itunes, i dont want the baseband updated. when i try restoring to custom ipsw to preserve the baseband it gives me error1600/1604 even though i put it in pwned dfu mode with ireb. anything else i can do? please help! There isn’t much that we can do about it since you have no idea which iOS it was currently on. For the time being all you can do right now is to create a custom iOS 5.0.1 IPSW & restore to it instead. Try using Redsn0w instead to put your device into a pwned DFU mode which is a must. I have an iphone 3g with iOS 4.2.1 & ipad baseband 06.15.00,i created my ios 4.2.1 custom firmware using snowbreez 2.2,after puting my iphone in pwnd dfu mode using iREB ,i tried to restore it but i’m stuck on error 1601 so plz help! Try the restores on a different PC. I guess, im going to go and ask for them to restore my ipod and if they ask if its jailbroken i will say that i bought it off a friend and went to reboot and it wont recover. I am considering doing that, but will they help me out even if my idevice is jailbroken? i thought it voided the warranty. Hi my friend recently borrowed and jailbroke my ipod 4gen 32gb 4.3.5 using redsn0w tethered jailbreak. The problem is that my ipod will not boot using the redsn0w 0.9.9b1. When i go to restore my ipod it comes up with the (error 1611) i have tried almost everything… Even if i put it into pwned DFU mode and shift restore it, it still comes up with the error. Is there a third party program that allows me to restore my IPSW without getting these errors, or is my ipod bricked for life? Yep, Error 1611 looks to be more of an h/w issue according to Apple. You might want to show it at the nearest Apple Store to get it checked. Before that just to confirm, you might want to try the restore once again on a different computer to see if it errors out again. thank you for your fast reply so i turn on umbrelle and reatore with itunes ? Read through the article that I just linked you to in my previous reply & confirm for any SHSH blobs first & then proceed. You can’t do anything if you do not have a valid SHSH saved for iOS 4.3.3 beforehand via Cydia / TU. By force installing iOS 4.3.3 w/o them will definitely put you into a DFU loop. Read this http://bit.ly/oKCpYX & confirm the SHSH saved for your device / iOS first & only then proceed with anykind of restore. If you do not have any, restoring to iOS 4.3.5 is your ONLY way out. I have a 3gs with 4.3.3 on the Ipad baseband 06.15. My screen is black and so I started TSS server in TU 5.00.09 and used IREB-r4 to put in DFU mode but i’m still getting a 1601 error. I have read all your suggestions and I’m baffled why this isn’t solving my problem. Please help, thanks. What happens when you try restoring your iP3GS with stock iOS 4.3.5? Still the 1601 error? Does the restore process atleast start then? i got the error 3194 fix and then i followed the steps on the host file. then i try restoring again. And now this error 1601 comes up. i tried the ireb. but the thing is my iphone 4 has be dead black screen before i even i tried to restore it. before i got error 3194. what should i do ? help me thanks. For Error 3194, you need to undo the changes that you have made to the hosts file right before this error i.e point gs.apple.com back to Saurik’s server for the retrieval of your SHSH. Next, you need to first put your device into a Pwned DFU state before you actually start the restore. Use Redsn0w instead of iReb by following this http://bit.ly/pioV9v. Do a restore by putting your iP3G once again in a Pwned DFU state using iReb and repeat. See if its behaving in the same manner. did it many times already- no go. itunes said restore complete back to factory…. but stays stuck in dfu??? Re-jailbreak your iPhone with Redsn0w, but this time only with the Just Boot Tethered option ticked. That should now get you out of the DFU loop. Make sure RS supports the current iOS that you were trying to restore to as well. Hey there. Before this, I was getting error 1015. Now I downloaded a custom made 4.2 IPSW and the error is now 3194. I tried doing the tutorial for windows but there was no entry/entries that contain gs.apple.com or is it possible that I don’t know they are there?. My “hosts” notepad is the same as what is in the sample above. So what should I erase or put a comment on? You restarted your PC after removing entries with gs.apple.com from your HOSTS file? Thanks for answering my queries bro. I really appreciate it. I haven’t done it so I brought my iPhone to a professional. :) Hope when this happens again I can fix it. How to Put iPhone, iPod Touch or iPad in Recovery Mode? How to Put iPhone, iPod Touch or iPad in DFU Mode? So if you restore stock iOS 4.3.3 IPSW or custom iOS 4.3.3 IPSW, everytime it gives error 1611? Ok, I understand the different ways how to put the phone in different states. But what is the difference between DFU and recovery mode? What can you do differently in DFU mode what you can’t do in recovery mode for example. Yes, everytime time error 1611 pops up. Recovery mode is used to upgrade firmware. DFU mode is used to downgrade firmware by restoring stock IPSW. Pwned DFU mode is used to downgrade firmware by custom IPSW. Hey, another thing I need to share. I know now what happened with the battery because it has happend again. The car charger damaged the battery, previous time we didn’t noticed it and thought the reinstall of windows on the laptop with the iphone still connected was the problem, but this time when plugging in the iphone in the car all lights and radio stopped for a while and the iphone was dead. A crapy car charger was the root cause of my problem. Hey, I got a problem with my iphone 4 (sw 4.3.2, factory unlocked) when formatting and re-installing my laptop, the iphone was still connected via usb to the laptop. Somehow after installing Itunes again I got itunes error 1611. On the iphone self I saw continious this image (http://i.imgur.com/fdqzW.jpg). So I followed this tutorial Fix all 16xx errors, but during install I got itunes error 3194. Follow again this tutorial on top of this page, it worked but after installing the OS, we got itunes error 1611 back + the same image on the iphone. Can someone help me with this? Could it be possible that the battery is dead or maybe something else? Thanks for your quick reply, I need to add some more information to above story, I noticed, when I disconnect the iphone from the laptop, the iphone screen gets black, and I can try all combinations with the home and power button I want but nothing happens, the screen stays black. Also I noticed Itunes only recognized the iphone when it is in DFU mode. Do you think the answer you gave me still works with this new information? Thanks for your help. Yes it is in DFU mode and there is nothing wrong in that. Just download stock iOS 4.3.3 IPSW for iPhone 4 and restore it using iTunes. Hold the SHIFT key (Assuming you are on Windows) and click on the Restore button in iTunes. Select stock iOS 4.3.3 IPSW and leave the rest on iTunes. Hey Wolverine, I tried it, unfortunately it didn’t work out. I got the iphone in DFU mode and in itunes used shift + restore to install iOS 4.3.3. Again I got error 1611. Do you have any idea what other options might help? Thanks. Error in range 2000 means there is something wrong with the USB ports of your computer. Either change the USB port or try to restore using another PC around you. Hey people. I’m in very need for help! I want to enter DFU mode but my power button does not work. Is there any software way to enter DFU mode? PLZZZZ Help!!! You need to upgrade your baseband 05.16.02 to iPad baseband 06.15.00 to unlock your iPhone! Ok im not very good at these things but i will try, first i maybe tell you that my phone is unlocked once directly from Apple because it was locked to one operator in Sweden when i got it. Is this still the thing i should do then? When you want to use unofficial carrier with your iPhone, use Ultrasn0w and when you don’t want to use it with unofficial carrier, simply uninstall Ultrasn0w from Cydia. Im having a slight issue jailbreaking my ipod touch 4g, even with gs.apple.com not in the hosts file, it still gives me error 3194, Any help would be appreciated! Just use TinyUmbrella to downgrade your firmware and to fix iTunes error 3194 http://bit.ly/elbsND If the problem still persists, it means Cydia do not have SHSH blobs for the firmware to which you want to downgrade! Thanks mate! All fixed, you’re a life saver! I’m not sure what I did wrong but it was starting to work the snowbreeze symbol showed and then all of a sudden it’s back to DFU mode and it won’t open. Wait. I just read your first comment. So your baseband is 04.10.01? Right? Why are you restoring custom IPSW the? Just restore stock iOS 4.3.2 IPSW (iPhone3,1_4.3.2_8H7_Restore.ipsw) and jailbreak it with Redsn0w 0.9.6RC14. 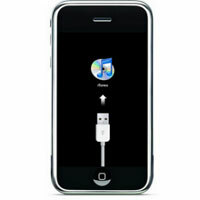 See complete guide here http://bit.ly/f9BPDI Ideally iTunes should not throw any error while restoring the stock IPSW on your iPhone. I actually want to unlock it, so I used ultrasn0w :D Does redsnow help unlock too? No, Redsn0w wont help you to unlock your iPhone and neither Ultrasn0w will because your baseband is 04.10.01 which is yet to be unlocked by iPhone Dev-Team! I followed this to the end,and I insure snowbreeze is the version for 3.1.3 which I have. Tt tells me i m in pwnd DFU and to use itunes to load the custom ipsw but it still gives me th 1601 error that iREB was supposed to fix. If I was truly in Pwnd mode wouldnt I not be getting that error since i ran iREB? SHould I try a different custom ipsw other than the one i created with sn0wbreeze? I want to unlock the sim once the ipsw is installed properly. Hey buddy, I ended up with this issue and am pulling my hair to get out of it. Nothing seems to be working. Even after PWNED DFU mode, I try restoring and end up getting this error. Here is what I tried to do. 3GS on 4.2.1. I tried to update the base band to 05.16 using redsnow. Then it wouldn’t restart. I tried to tether boot it and still the same. Somehow in the process, I created a custom ipsw using snowbreeze for ver 4.3.2 and tried using this or restoring in iTunes. Now I really don’t know what version my iDevice is. Do you rely on an unlock? What is ur current baseband? Also why were trying to upgrade your baseband to 05.16? Thanks for responding. I updated my baseband to 05.16.00 to unlock my Rogers Phone in Canada. However I think in the process of all the mixup, I ended up using IPSW from a 4.3.2 version. It was getting stuck in 1015 error. All trying all the tools I ended up using your “Recboot” Script that finally ended my issue and then restarted the phone. I restored but somehow when I inserted a Rogers sim card it was not catching the signal and my WIFI was all messed up. It would not connect. So I decided to do another restore this time and used snowbreeze to create a custom 4.3.2 IPSW and used it to restore. Right now, none of the tools are working to fix my 1015 error. I have used the following tools without any success. Every time I use the tool, my iDevice tries to restart and then gets stuck in the iTunes window. Please help. Use iOS 4.2.1 IPSW again and when you are done, install Ultrasn0w 1.2.1 from Cydia. Once installed, your iPhone will start catching the signals from any network operator. PS: If for some reason, Ultrasn0w 1.2.1 is not working on iOS 4.2.1, use this guide http://bit.ly/hk4aDV to downgrade to Ultrasn0w 1.2. I successfully restored iOS 4.3.2 on my iPhone 3Gs by following your instructions. However, im getting the error “unable to load network list” when i select carrier. any advice how can i fix this? thanks a lot. i think, in the past i used 4.2.1 and unlocked, now trying to update the iphone to 4.3.2….got only the error 1015, and tried to use the 4.2.1 firmware still didnt work. Either create fresh iOS 4.3.2 custom IPSW using Sn0wbreeze 2.6 http://bit.ly/gBOM7o or download a pre-made iOS 4.3.2 custom IPSW for your iPhone from here http://bit.ly/fGg7IJ Once done, put your iPhone in Pwned DFU Mode by using the above guide and restore the custom IPSW using iTunes. Hopefully you will not get stuck in recovery loop again. I tried it, but sn0wbeeze’s firmware didnt works, anyway else, or can u use teamview to help me out ? Download Redsn0w 0.9.6RC14 from here http://bit.ly/f9BPDI and follow this guide http://bit.ly/hlXH6Q but skip step 1, 2, 3 & 4 as you are already on iOS 4.3.2.